Tired of the same old t-shirts, key chains and frisbess? 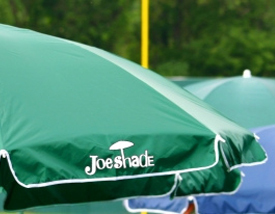 “Wow” your clients and employees with a customized JoeShade® portable sun shade umbrella! Our sturdy nylon umbrella blocks harmful UV rays and is supported by a broad, powder-coated metal base that keeps it from blowing over. Lightweight and easy to assemble, the umbrella opens to approximately 60″ in diameter and can tilt to give you maximum shade protection. Its carrying bag has a convenient shoulder strap, making it easy to carry with you on the golf course or wherever you want to take it. 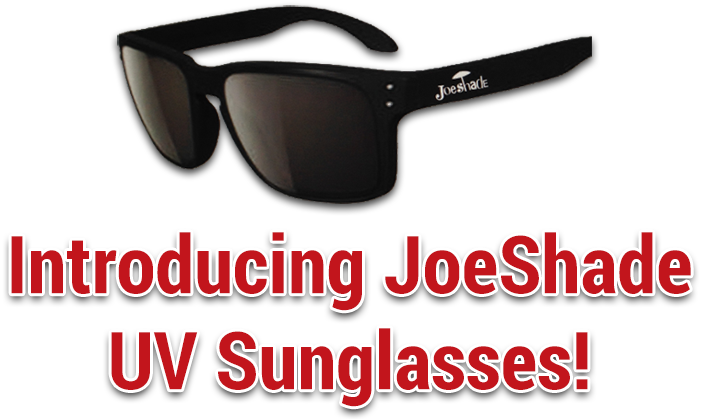 Order your JoeShade umbrella today and get the ultimate promotional gift for your next outing!